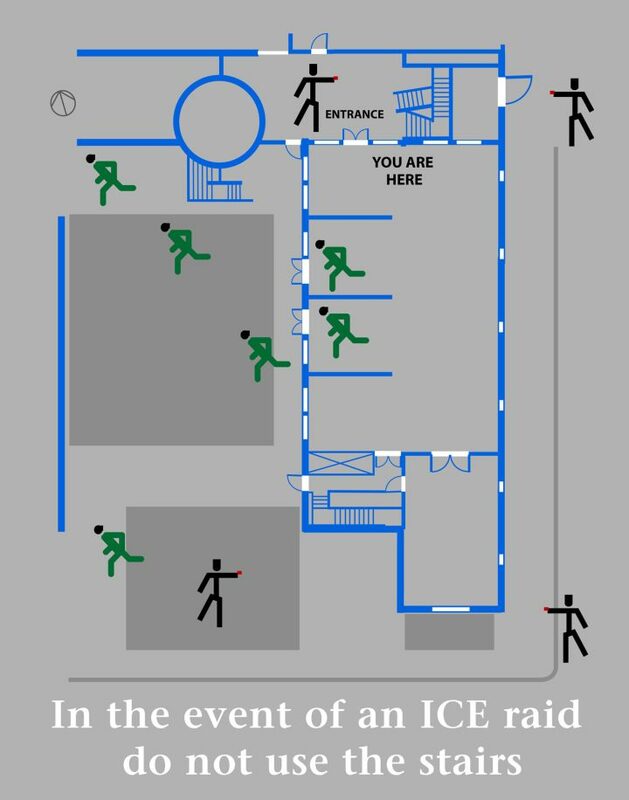 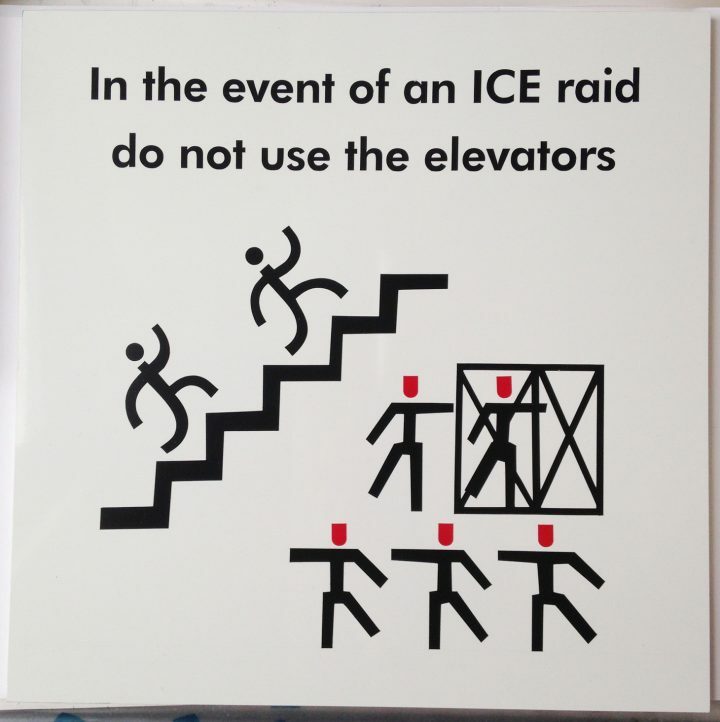 Created by artists Jenny Polak, the ICE Escape Signs are designed to jolt US citizens into realizing the challenges the undocumented face on a daily basis. 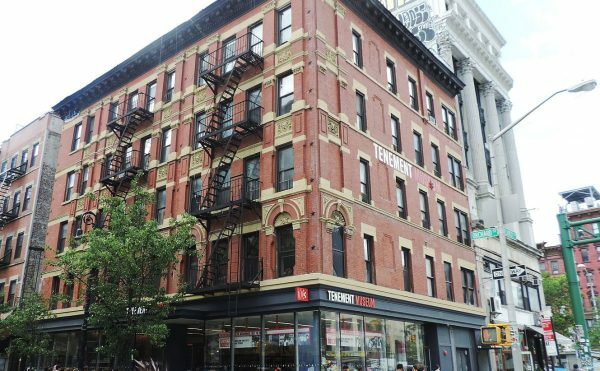 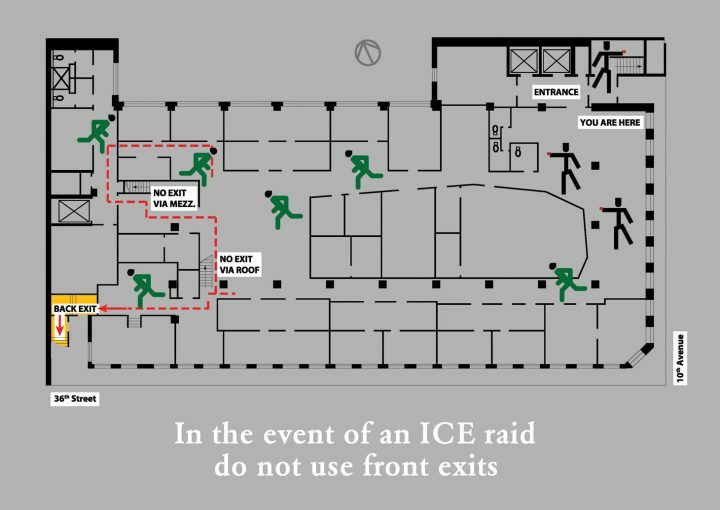 While the acronym ICE may have only recently crossed over into mainstream usage, the fear of ICE — or Immigration and Customs Enforcement — has been a prominent feature in immigrant communities across the United States since its formation in 2003. 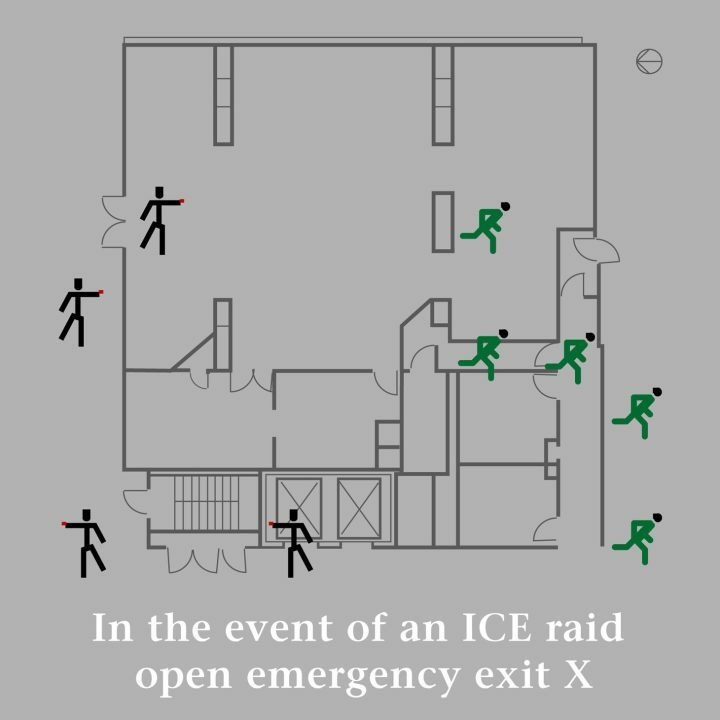 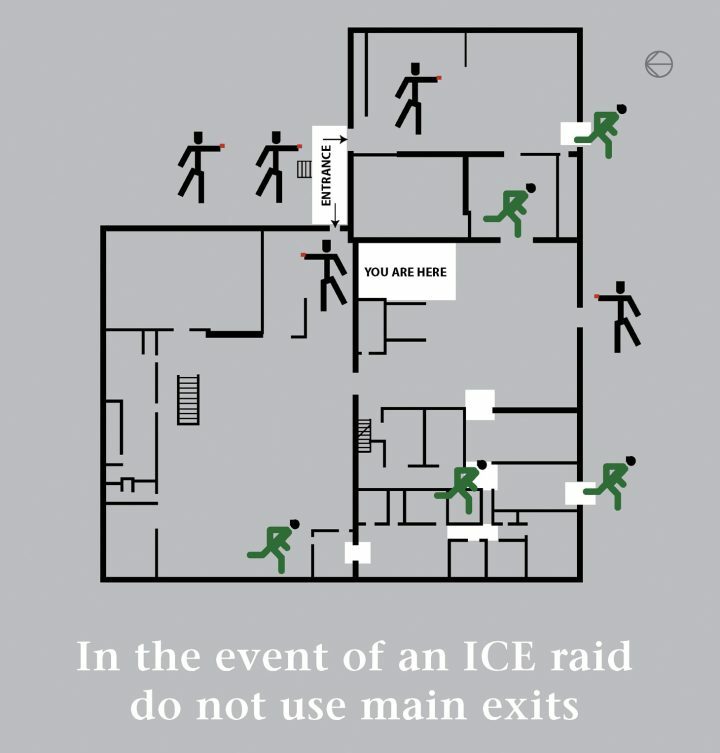 Artist Jenny Polak started her ICE Escape Signs series soon after she started to read and hear that certain populations, particularly Arab and Muslim communities, were facing increased policing and surveillance in the US. 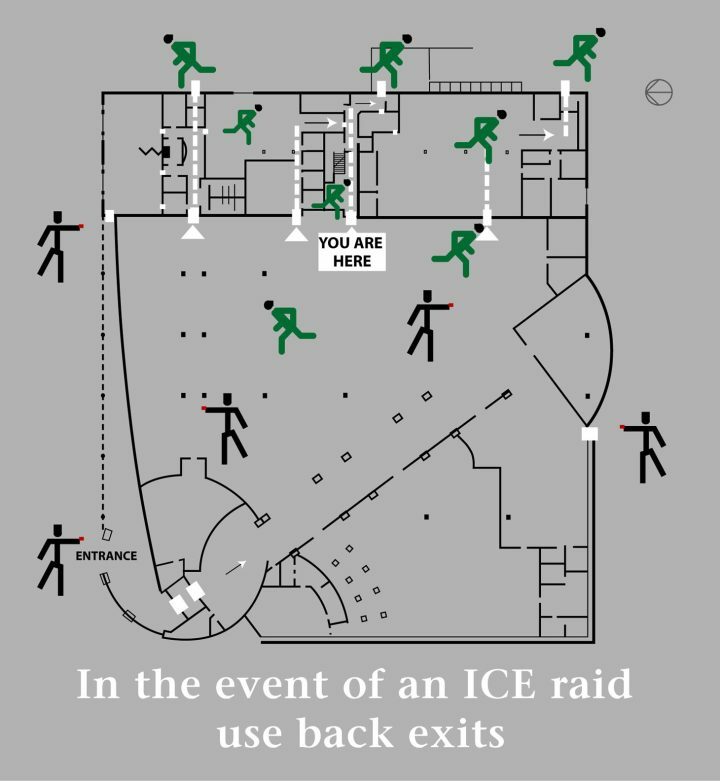 The ICE Escape Signs series is currently on view in the exhibition I’m Afraid of Americans at Fiendish Plots in Lincoln, Nebraska. 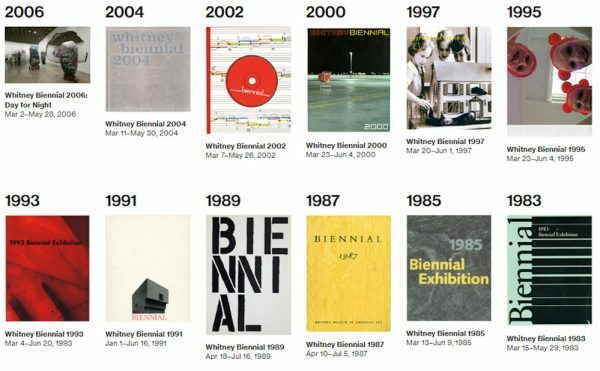 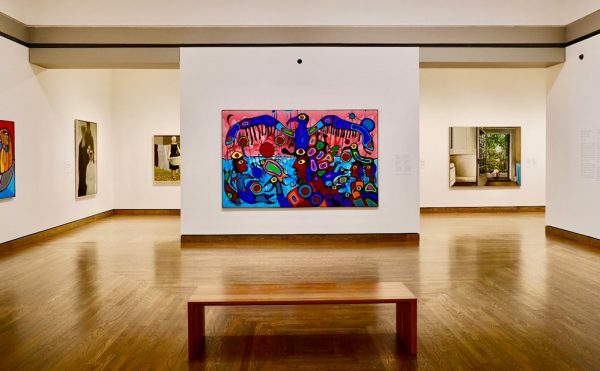 Featuring the work of Polak and Dread Scott, the show documents the continuing conversation between the pair (who have been married for 25 years) about social issues, political activism, and the surveillance state. 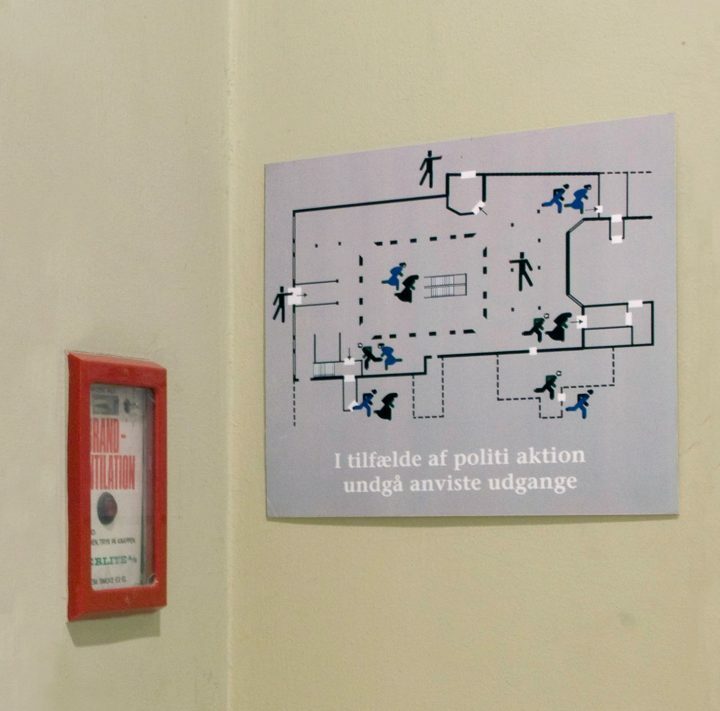 An ICE Escape Signs (2006–ongoing) installed in Copenhagen, Denmark. 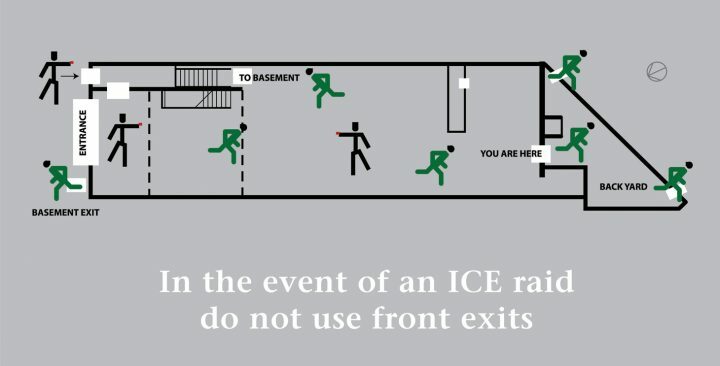 An ICE Escape Signs (2006–ongoing) installed in Tompkins County Library in upstate New York. 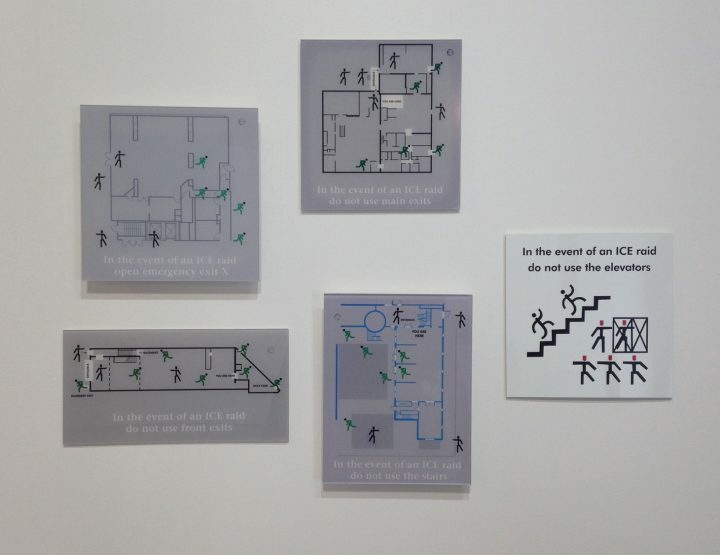 Jenny Polak’s ICE Escape Signs series is part of the exhibition I’m Afraid of Americans at Fiendish Plots (2130 Magnum Circle, Lincoln, Nebraska) through March 3.